Whether you’re dreaming of a new house or thinking about a renovation, Dave & Mark Custom Builders is committed to creating a more comfortable and beautiful home for you and your family. We incorporate quality workmanship, design, service and care into every project – and we’ll work closely with you to make a plan that fits your lifestyle, schedule and budget. 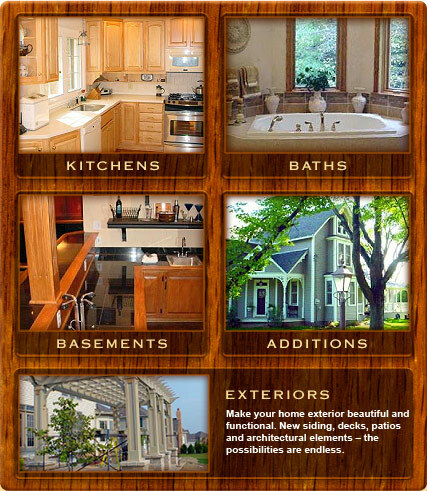 Dave & Mark Custom Builders is ready to tackle your new build or remodel, including room additions, kitchens, baths and basements. Just take a look at our portfolio to see how we’ve helped other homeowners bring their vision to life. Then, give us a call. Our friendly staff will be happy to answer all of your questions. Copyright ©2009 Dave & Mark Custom Builders Inc. All rights reserved. 8680 Pleasantwood Avenue, North Canton, Ohio. 330-497-0919.